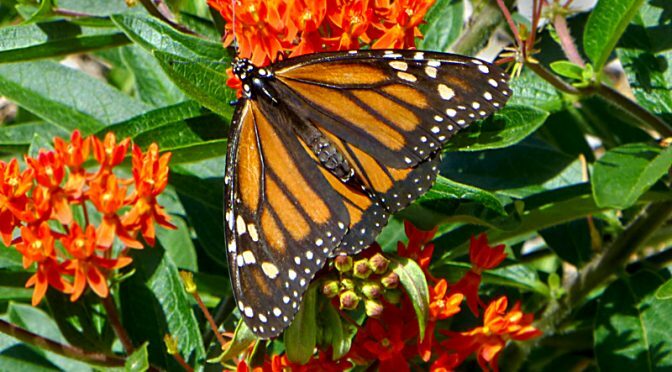 The Monarch butterflies are just gorgeous with all of their beautiful colors. 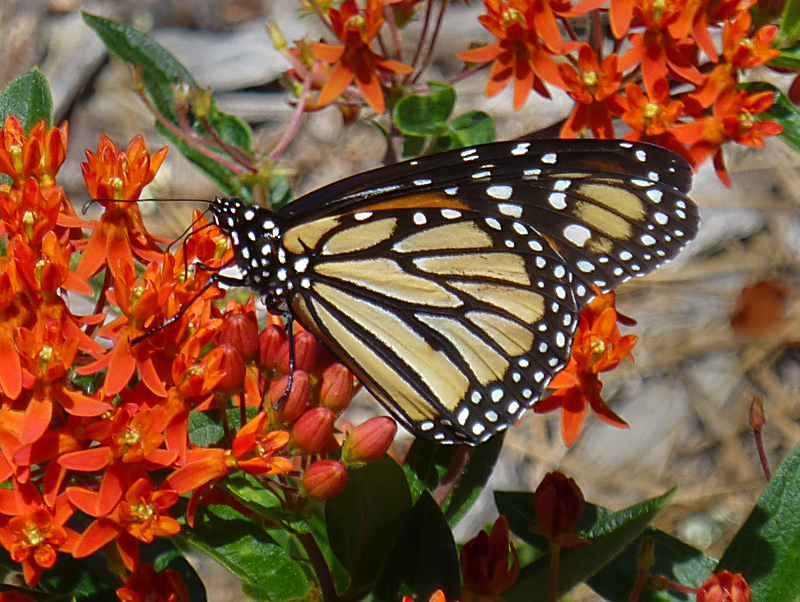 I saw this Monarch feeding on a Butterfly Plant on one of my hikes and just loved the coloring. Beautiful wings, whether opened or closed!